CarpetFirst is a complete service for carpet and upholstery care. As a locally owned and operated company, we have been servicing London and all London areas for over three years. Service has become our priority to all our customers and we guarantee all of our work. When choosing CarpetFirst! you will get a team of experts dedicated to giving you the most thorough level of expertise the cleaning industry has to offer. Our technicians are fully trained to insure that you are getting industry professionals working for you. You are on one step closer to having cleaner, healthier carpet. The most important decision that you can make as a homeowner, is calling the right professionals to do the work. We offer the finest in services backed by a 100% satisfaction guarantee on all work we perform. If you are not satisfied we will re-clean it again for free. We will arrive at the agreed time or we will let you know. An itemised "totally non obligational" survey and quotation. The price we quote is the price you pay - with no surprise extras. We will use the right equipment, processes and products for the job we are doing. We will only send you a fully trained Safeclean operator to do the work. If you are not totally happy with the job we do for you... we will redo it. You can be sure that your home is in safe hands with our fully qualified Safeclean operatives. We have an extensive range of products for every type of cleaning job within your home and will always ensure that we use the right product for the problem. Our operatives also have a range of aftercare products which you can purchase to keep your home looking good, simply ask for details. What is 'Our Service Guarantee' for You? We seek to develop long-term relationships with our customers. We strive to make every customer happy and make them feel they are in capable and safe hands with us. 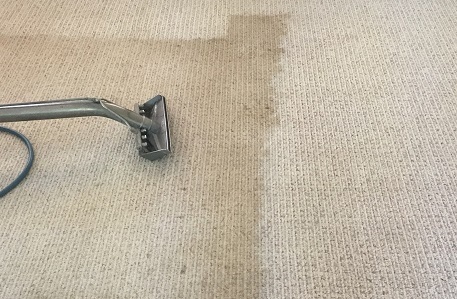 We guarantee to restore your property, carpets or upholstery to your complete satisfaction, or we will return and re-clean at no cost (subject to report within 24 hours). The same rule applies to all our services - house cleanings, office cleaning and hard floor restoration services. We claim to call ourselves cleaning and floor restoration specialists, as we invest time and resources to train and keep all our operatives and their skills at the highest industry standards. You and your property are also covered by our fully insured business. CarpetFirst! is not only bonded with an extensive Public Liability insurance package but also covered by a Treatment Risk Insurance, which extends your protection and leaves your property in even safer hands.